Videos – For posting game videos, trailers etc. Regular post type can be used to post your articles. Post support featured thumbnails. This theme does not use timthumb file. Review post type can be used to create game reviews. You have option to rate the games on its various parameters. There are custom metaboxes setup for that. Reviews also support featured thumbnails. Watch the following video to see how to create review posts. Video post type can be used to post game trailer, game previews etc. There is a custom metabox to embed the video embed code. You can also attach a boxart image of the game to the video post. This will appear on the carousal on the homepage. Watch the following video to see how to create the video post. This theme comes with 3 custom page templates. To use the custom page templates, just create a NEW PAGE and select the appropriate template from the template dropdown list in the page attributes. Blog template – The blog page template can be used to display the blog section of your site. Once you install the theme, remember to install and activate all the required plugins. They are required for the functioning of the Option page, metaboxes etc. Also adjust your theme options to configure you homepage and other settings. Would you please provide us more details? Hey guys, I’m quite new to WordPress in general and was wondering how to put just regular blog posts in the feature slider. The settings for the slider is under Theme Options in the Appearance section. Hello, created my wordpress site today. How do I install this? Thanks. Download the theme file, then upload it to /themes/ directory. On WordPress dashboard -> Appearance -> Themes, just active the theme you installed. Have you installed the Options Framework plugin? 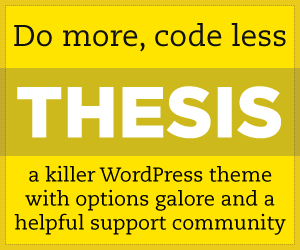 This theme use the plugin to manage theme options page. How do i upload this theme to my wordpress? Do I have to afto be a premium member? I could not find a install button or upload button anywhere, been searching for hours. Do you have a self-host WordPress site or a blog on wordpress.com? If it’s wordpress.com, you can’t upload your theme even you are a premium member. When I add more than one featured image the slider aligns itself to the right. But if there is only one image (so it doesnt have to change) it is centered correctly? So far I have been using your theme and I like it a lot. It is better than most of the payed themes. But I gave one question. How can I make the posts in the slider change a bit faster ? Oh, sorry, this is beyond of our ability. Is there any way to remove or edit the reviews and top games feed from the right side? If I want to edit the “Latest Reviews” to “Latest XYZ” and get rid of the Top Games feed but I cannot find any option to do so. There is no option to do it, you need modify the php file. Very nice theme . I use it many time and I never have problem with. I use it now on football site 😀 I change only colors and logo .